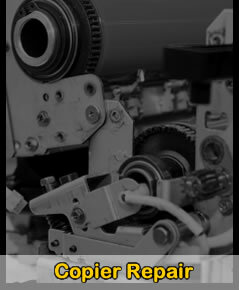 Specializing in copier repair, our Temple City copier repair, San Gabriel copier repair, Arcadia copier repair services, Baldwin Park Copier Repair, Azusa Copier Repair office, El Monte copier repair, Pomona copier repair service, Pasadena copier maintenance, City of Industry copier maintenance technicians, Santa Fe Springs copier repair, Norwalk copier repair and maintenance technicians, and Covina copier repair service techs offer the best maintenance in Southern California! 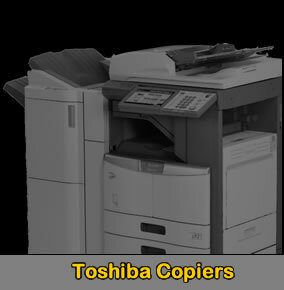 SoCalCopiers covers copier needs for clients in Southern California, Inland Empire, Los Angeles County, Orange County, Riverside County, San Bernardino County with manufactures including - Toshiba, Sharp, Canon, Ricoh, Lanier, Panasonic, Gestetner, Kyocera Mita, Mita, Konica, Minolta, Konica Minolta, and Copystar. 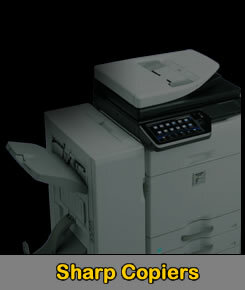 Call American Servco for copiers, copier maintenance, printer maintenance, copier repairs, copier service, copier supplies, copier sales, and copier leasing. We are committed to helping you increase revenue by recommending the right products to increase your productivity. Whether copying, faxing, computing or printing we are factory trained specialists who help you make the right decision for the job. Our sales personnel provide personal consultations. We don't push products to meet quotas. We make the best recommendations to help our clients and partners. Word, MS Excel & Searchable PDF. 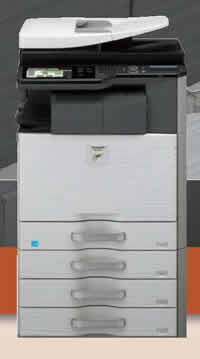 Ease of use has been given top priority with the e-STUDIO355/455 Series. Small and medium size workgroups can make fast work of complicated jobs.The graphical user interface is simple to use. standard. More options can be added, such as walk-up faxing, PC-LAN faxing, and advanced scanning to MS Word, MS Excel & Searchable PDF. 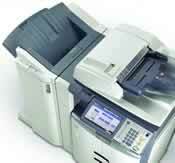 Choose from copy and print speeds of 35 and 45 pages per minute. 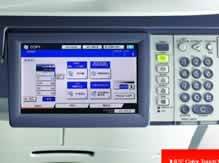 Also, several functions can be performed simultaneously—print and fax, print and scan, copy and scan, you name it.